Reebok Men's Shoes Just $19.99! Down From $60! Shipped! 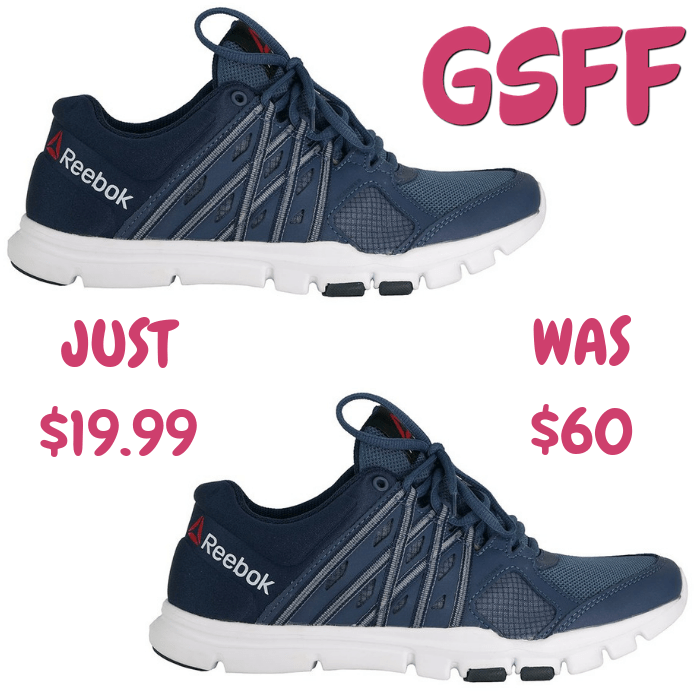 You are here: Home / Great Deals / Reebok Men’s Shoes Just $19.99! Down From $60! Shipped! Reebok Men’s Shoes Just $19.99! Down From $60! Shipped! For a limited time only! Proozy is offering this Reebok Men’s Athletic Shoes for just $19.99 down from $60 PLUS FREE shipping! Make tracks in these men’s YourFlex Train 8.0 running Shoes from Reebok. Featuring a stability overlay and memory foam cushioning for a smooth ride, these athletic Shoes give you speedy style with their navy blue and white design. Plenty of flexibility in the lightweight outsole ensures a step that flows naturally with you, while the mesh offers breathable comfort.